This was taken at the Australian Institute of Marine Science. It is a federally funded organisation which is revealing some of the mysteries of the ocean. 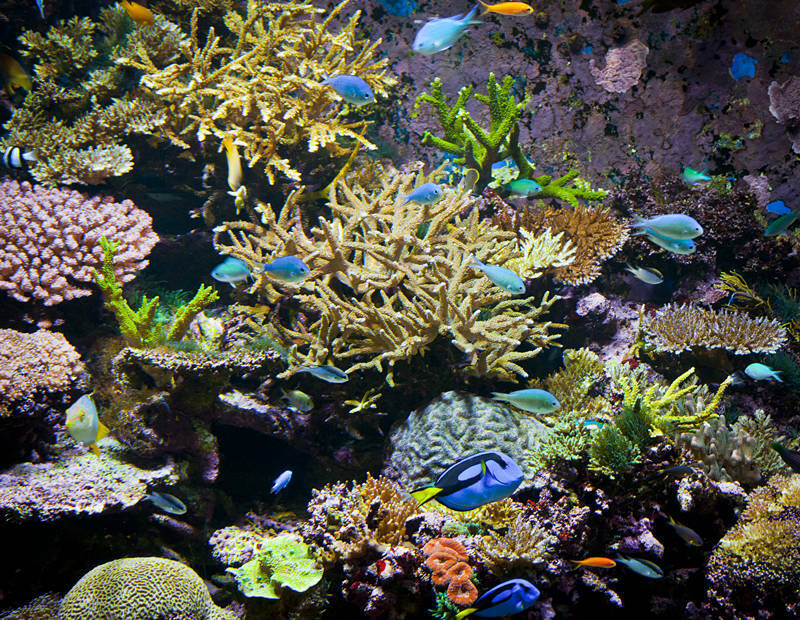 The facility is full of fish tanks containing corals whose water temperature and carbon dioxide level are computer controlled to emulate different environments. These include the future conditions we expect to see if climate change continues on its current trajectory. Today my earnings from Shutterstock exceeded USD$10,000. As well as a milestone it comes with a pay rise. It marks the top tier of photographers who get the biggest cut from image sales (up to $120 per download). I currently have 600 images online at Shutterstock. Most of these are the result of shooting whatever was in front of me while I followed a girlfriend with itchy feet. At this point, the average image has been downloaded 26 times and generated $17 each so far. As with all parts of the gig economy, the unit price is driven down by internet efficiencies. Fortunately, photography is an industry where the digital revolution has also reduced the cost to the worker. I currently shoot about 100 pictures a day which would be 3-4 rolls of film in old money. The time and expense to develop these has almost disappeared today. All that is needed is a working knowledge of Photoshop. Job security is also a casualty in most parts of today’s economy, however, royalty payments do have the advantage of creating a very stable income. The payments from stock photography have been more reliable than all the 9-5 jobs I have had and will not stop when reaching retirement. I am continuing North into increasingly remote areas. Generally the harder to get photos are the ones which sell most. While planning my route I must balance this with the fact I am driving a 31-year-old van which feels like it is shaking itself apart on the roughest dirt roads. The phone signal will be patchy until I reach Ingham in Queensland on 17th August.